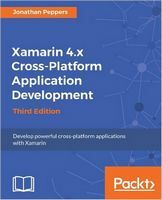 Xamarin is a leading cross-platform application development tool used by top companies such as Coca-Cola, Honeywell, and Alaska Airlines to build apps. Version 4 features significant updates to the platform including the release of Xamarin.Forms 2.0 and improvements have been made to the iOS and Android designers. Xamarin was acquired by Microsoft so it is now a part of the Visual Studio family. This book will show you how to build applications for iOS, Android, and Windows. You will be walked through the process of creating an application that comes complete with a back-end web service and native features such as GPS location, camera, push notifications, and other core features. Additionally, you’ll learn how to use external libraries with Xamarin and Xamarin.Forms to create user interfaces. This book also provides instructions for Visual Studio and Windows. 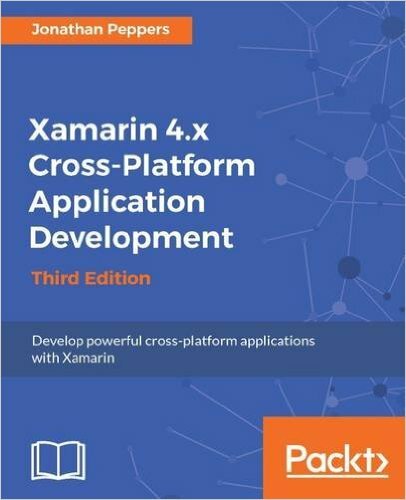 This edition has been updated with new screenshots and detailed steps to provide you with a holistic overview of the new features in Xamarin 4.